More than 200 timber species from around the world are described in detail in this lavishly illustrated, compact edition of Terry Porters best-selling book. In this indispensable guide to one of the worlds most valuable natural resources there are handsome colour photographs of each species, and reliable data on working properties, seasoning requirements, typical uses and safety considerations. Inspirational examples of finished work are also shown. A further 200 species are listed in brief, and there is a comprehensive index. 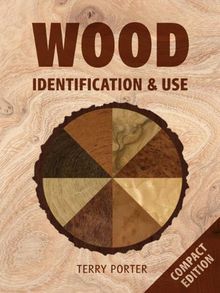 Aimed squarely at the individual or small-scale user, whether professional or amateur, the book includes woods used in cabinetmaking, joinery, carpentry, turning, carving and a host of more specialist applications. It covers most species in widespread use, and many less familiar ones which deserve to be better known.